The Sarasota corridor encompasses many well established areas in Southwest Florida. Some of the surrounding cities include Bradenton, Longboat Key and Anna Marie Island. Famous beaches abound and the temperature is about 5 degrees cooler than further south in Florida. 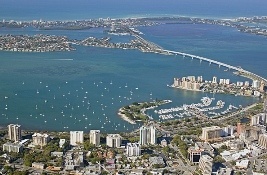 Sarasota is an employment center and offers all of the amenities of a big city located on the water and a coastline. Sarasota is one of Florida's best places to live, work, and raise a family. Clean air, fabulous beaches, and a great climate all accentuates a vibrant lively recreational and cultural scene. Interested in reading more about real estate in Sarasota? Scroll down to search for all the "active" SW FL MLS listings currently for sale or to get more information on it's history, amenities and attractions. There are big city amenities in Sarasota with a small town flavor in lifestyle. Situated on the Gulf of Mexico and Sarasota Bay with brilliant white sand beaches and lots of barrier islands; Lido Key, Longboat Key & Siesta Key are just a few. The Florida West Coast Symphony, Ballet, and Opera also make their home here as does the Mote Marine Labratory, one of the most respected marine research facilities in the country. Both owners and employees enjoy the good life in a thriving business climate. The areas affordable living costs and motivated workforce makes Sarasota home to a variety of successful and productive companies. Residents enjoy a wide range of activities that include the big city amenities along with the typical recreational pursuits of a coastal community. Founded in the 1880's by settlers from Scotland, Sarasota became known to the wealthy of America in the early 1900's. Today, the historic Spanish Point was once the winter garden and Gulf front estate of Chicago developer Potter Palmer and his wife Bertha. And, the Myakka River State Park used to be Mrs. Palmer's 30,000 acre ranch, Meadowsweet Pastures. In 1927, John and Mabel Ringling of Ringling Brothers and Barnum & Bailey Circus fame made their mark on the community by building a magnificent venetian style mansion on Sarasota Bay which is today known as the Florida State Museum boasting works by masters of the 17th Century. Ringling helped develop St. Armand's by using elephants to build the first bridge to the Key. 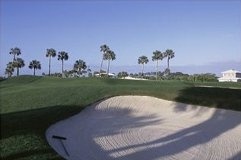 Sarasota is home to the first golf course in Florida built in 1905 by a Scottish colonist, and is known throughout the golfing world, as Florida's "Cradle of Golf." There are more than 30 courses with all levels of play and budget, plus of the Top 20 regional courses in Southwest Florida, nine are located in the Sarasota area. The Sarasota, Florida real estate market is diverse, from high-rises dotting the coastline to championship gated golf course homes, with everything in between. Price ranges support first time homebuyers, retirees, and second home lovers. 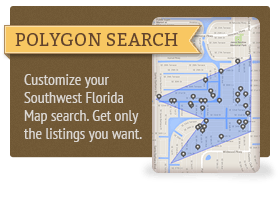 You can select from single family homes, villas, and condominiums in all types of price ranges. 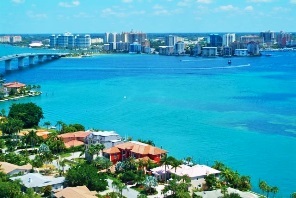 Sarasota is truly one of Southwest Florida's most highly sought after places to live. 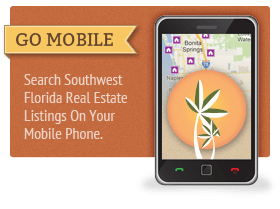 If you would like to schedule a showing or get started on a more in-depth search for Sarasota, FL Homes for Sale, please don't hesitate to call us. To ask a specific question now, contact us directly. One of our Realtor® associates will be glad to help!